Highlights : Take holy dip in Ganga at its world famous Varanasi Ghats. 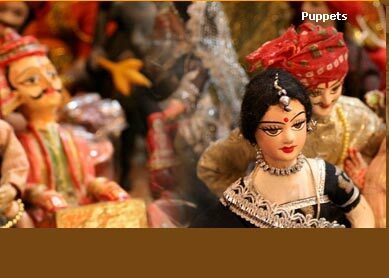 Visit to two of the most popular historical cities of India, Delhi and Agra. Explore architectural masterpiece like Ajanta and Ellora Caves, Taj Mahal, Qutab Minar, Red Fort and Agra Fort. Popular widely among Buddhist pilgrims all around the globe, the Buddhist Travel Package let you to visit some of the most explored Buddhist sites of the world. The destinations, we let you cover in this tour comprise of Buddhist places like Aurangabad, Sanchi, Varanasi, Bodhgaya, Gorakhpur and Balrampur. 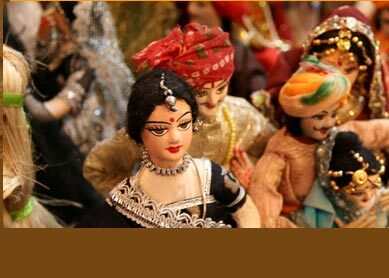 Along with, we also visit some of other popular sightseeing spots like Mumbai, Bhopal, Agra, Patna, Lucknow and Delhi. Day 1: Mumbai. Late in the evening, your flight arrives. You will be transferred by our representative to the hotel, where you stay overnight. Day 2: Mumbai-Aurangabad. Catch morning flight from Mumbai to Aurangabad. Check into hotel. afternoon, you will visit world famous Ellora Caves. Day 3: Aurangabad-Bhopal. From morning to evening, you will be enjoying the extensive visit to world famous caves of Ajanta. In evening, catch train for Bhopal. Spend overnight on board. Day 4: Bhopal-Agra. Reach Bhopal early in the morning. Drive to Sanchi, and visit its world famous Sanchi Stupa. Drive back to Bhopal, and catch train for Agra. By the time of your dinner, you will be at Agra. Check into a hotel, where you stay overnight. Day 5: Agra-Varanasi. Take morning visit to the Taj Mahal, and other historical monuments of Agra. Afternoon, catch flight for Varanasi. Stay overnight at hotel. Day 6: Varanasi-Bodhgaya. Take early morning visit to the holy Ganga and its holy Ghats. Later drive for Sarnath, and visit its Buddhist sites. In noon, drive further, and reach to Bodhgaya in evening. Stay overnight at hotel. Day 7: Bodhgaya. Whole day, get engaged in gaining spiritual touch. 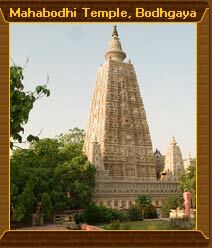 Visit to world famous Mahabodhi Tree and Mahabodhi Temple. Overnight at hotel. Day 8: Bodhgaya-Patna. Drive in the morning for Patna. En route visit to two Buddhist places, Nalanda and Rajgir. Reach Patna in evening, and stay at hotel overnight. Day 9: Patna-Vaishali-Kushinagar. From Patna, start drive for Kushinagar in the morning. En route, visit Vaishali. Arrive Kushinagar by evening. Stay overnight at hotel. Day 10: Kushinagar-Balrampur. Visit famous Buddhist sites at Kushinagar. Later, drive to Balrampur. In way, halt at Lumbini, the birthplace of lord Buddha. Overnight stay at Balrampur. Day 11. Balrampur-Lucknow-Delhi. From Balrampur, take morning drive to Lucknow. Arrive Lucknow at noon, and drive further to reach to Sravasti, a popular Buddhist spot. Later in the evening, catch flight from Lucknow to Delhi. Overnight stay at hotel. Day 12: Delhi. For whole day, enjoy sightseeing its popular tourists destinations. Visit to several of famous monuments like Jama Masjid, Red Fort, Qutab Minar, Humayun Tomb and Lotus Temple. In evening you can enjoy shopping and eating out at Cannaught Place. Overnight stay at hotel. Day 13: Delhi. After breakfast, you will be transferred by our representative to airport to catch flight for your onward journey. Abundance of popular Buddhist monasteries and many of Buddhist sites finding deeper significance have been included in this tour to let you enjoy your pilgrimage vacation at its fullest. Best you gain at this tour is definitely the spiritual touch, with which you feel empowered after visiting so many Buddhist sites. You can try meditation near the Mahabodhi Tree at Bodhgaya. If not, simply you can pray closing your eyes and forgetting all your worldly wanting. Discovering many of historical spots like Delhi, Agra, Patna and Sanchi will be another sought after activities, you will love to indulge into. Seeing historical monuments like Taj Mahal, Agra Fort, Red Fort, Qutab Minar and Humayun Tomb will busy you wondering at the richness of cultural heritage of India. Besides, these places also give you opportunity to take shop at famous bazaars, and take back to your home some gifts for closet ones.